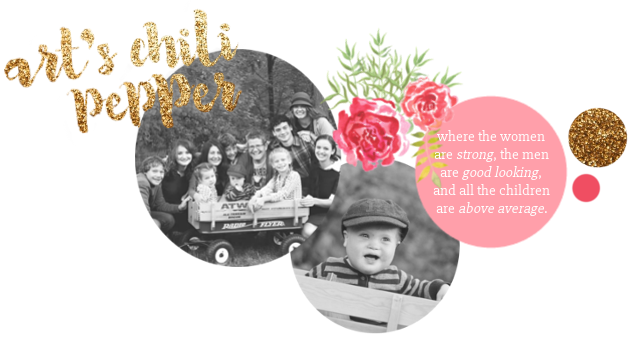 A big thank you to Brianna for redoing my page to fit the theme for our upcoming country fair! If you haven't read about it yet you can click here. Get your posts ready, I hope to see you all there. This week we have a lot of, "I wasn't paying any attention to what was going on around me" pictures. This first was when I was visiting with my parents by the pool. When I was looking through the camera card I found about 20 similar ones of me and a bunch of other family members that night. My best guess is that one of the youngers got hold of the camera. They have been trying out their skills this summer. This is a rare picture of me without makeup. I have a great deal of scarring on my face and long ago made a habit of doing my face as soon as I get out of bed. I am not sure why I didn't that day. But, Elisabeth didn't mind and gave me some loving anyway! And here I am blogging. And I don't know about you but I am usually completely out of touch with everything once I enter blog world. That is why I try to keep it for before the family gets up, during nap and after they go to bed. Which, brings me to the fact that classes resumed Monday night and I have a boat load of reading and studying to do now. I will be leaving for vacation in 21 days and when I return on October 7th home school will be starting. There is a bunch of travel going on between then and Thanksgiving. So, I may not be around your blogs as much as I usually am. But don't forget, I love you anyway. And to my dear Canuck...if you are out there. I haven't seen you in a long time... talk to me girlie. 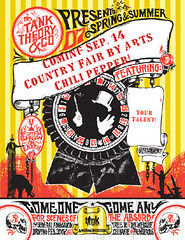 Don't forget to click on the button to learn all about the Country Fair coming September 14th! It won't be any fun without you there. I just wanted you to know that I finally got around to posting the award that you sent my way a few weeks ago. Come by and check it out. I love the new look on your blog! I have been so busy with company the past few days I have been MIA from blogworld. Just catching up on yours. I have all kinds of cup trouble at our house. One afternoon I counted 42 cups in the sink, dishwasher, and on the counter! So frustrating. I tried different colors, but that hasn't worked either. I may need to hide all but one cup per person and see if I can get it under control. I love your cups, and the trays, too. I hope you will be blogging about your vacation, and what kind of classes are you taking? We start school on the 31st of Aug, so I am working hard at getting everything ready. And I am so not crafty, so I am going to have to think hard to come up with something for your fair. It sounds so fun. Thanks for checking up for me and for the award! I will get to it in a bit. I am working on some posts with our friends and all the fun we had. i love finding 'surprise' pictures after my kids have had the camera. sounds like you'll be busy.. we will too, but just with little things. Great new look to your blog, and the picture of you blogging that you added to your sidebar as well is a great shot. Your pictures this week are so wonderful! Kissing Elisabeth is so precious, and NO you don't need makeup! My hubs love pictures where the subjects are unaware that the photo is being taken. I have to say these are great. I am usually a straight on smile girl...but your profile is beautiful. Love these pics. Great pictures and great blog. LOVE IT! PS: please visit my friend at: http://seaglassreflections.blogspot.com and read the post entitled, "Please Help." She is in desperate need of prayers, encouragement, and verses to get her through these difficult days. Your daughter possesses some unique talents. This layout is simply amazing and since it's fall like, one of my favs!!! You are so blessed to have the skin that looks great without makeup. Me, not so pretty. At least in my eyes. I love that you are partaking in this challenge and I think it is something all of us moms should do. Can't wait for the fair! Great pictures! I too started back to school and have a boat load of reading and assignments to do. I find unexpected pictures on my camera pretty often at this house...not of me tho! I have to say I'm with the other ones, You are beautiful, and your face looks GREAT w/o mu! Great fall look to the blog. Fun pictures - I love seeing things thru my kids' eyes. I totally love all your pictures and my favorite is the one you are blogging! Have a Beautiful Day Sweet♥ Lady! lol it's always funny when you see pictures of yourself you had no idea were taken. Sneaky kids. Sounds like life is full on for the next little while- enjoy your holiday! Great pictures! You are such a pretty Momma! I definitely haven't been reading and writing blogs consistently because of travel and visitors coming here to see us. I totally understand that you will not be around for a little while, but I will miss you loads (as they say here in the U.K.). You are a devoted reader, and commenter, and we all love to see the comments after we've lovingly written. You are ABsolutely beautiful with and without make-up. I know what you mean about getting into the blog "zone" as I would call it. I get so caught up in reading and writing that I almost tune everything out. The problem is that's not a reality when the kids or my DH needs me. Balance and good timing is what will work. Where is your vacation and when are you going to Italy?